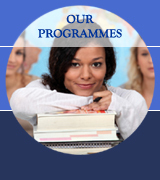 How to choose a programme? If you are a high school graduate or do not have supervisory level experience, choose the traditional route and complete your qualifications via assignment. If you are over 23 years old and have at least 2 years of supervisory level working experience, we recommend you choose the vocational route and complete your qualification via professional recognition. For the route via assignment: Depending on the qualifications you currently hold, you may choose to enter at the appropriate level. For example, if you already have an HNC/HND, you might want to start at the honors degree level and choose to complete the SBP Graduate Diploma (GradDip) and achieve the SBP Graduateship with us. On the contrary, for the vocational route via professional recognition, depending on your working experience and the amount of management training you have, you can be eligible to begin with working toward the Licentiate (Level 4), Graduateship (Level 6), or, in some cases, the Membership (Level 7) level qualification. Regardless of the study path you choose, determine your ultimate goal for, say, in the next 2 to 3 years so that you can plan on your own time and budget. You should always check to see what would be the academic as well as the financial requirements of the various paths and make sure these would fit you. Different paths suit different people. An aspiring business owner with years of experience might aim for an MBA or a PhD via the professional recognition path, whereas someone who would like to become a future teacher might want to work slowly towards his MBA too, but via the traditional assignment path. GOT QUESTIONS? CHAT WITH US NOW! 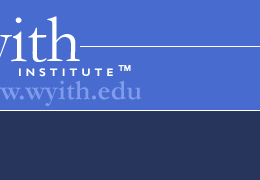 LIKE the Wyith Institute's new Facebook page and chat with us online! NQF refers to the UK National Qualifications Framework. 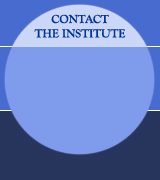 Each of the courses we offer at the Wyith Institute is available at different NQF levels, from Level 4 up to Level 7. The level numbers show where the qualification sits on the British National Qualifications Framework. This is a standardized scale which allows different types of qualification to be compared against one another, giving employers and employees an idea of their relative 'levels of difficulty'. It also helps graduates to move from one education system to another so that they can apply to universities around the world with qualifications that can easily be assessed and verified. For example, when someone tells you that he/she holds a diploma, it can be either an undergraduate level diploma or it can as well be a postgraduate level diploma. But if he/she tells you that he is holding a diploma at NQF7, it means straight away that the diploma must be a postgraduate, master's level diploma. So, what do the different NQF levels mean? Simply put, a Level 4 (or NQF4) qualification is equivalent to a UK BTEC Professional Diploma. An NQF6 qualification, on the other hand, is equivalent to a UK bachelor's degree with honours, whereas a NQF7 qualification is equivalent to a master's degree level qualification. Holders of an NQF7 (master's level) qualification can be accepted into our business doctorate programme without having to hold any master's degrees. I have years of supervisory and/or management level experience but I do not have a degree – do I still need to start at Level 4? Not necessarily. The beauty of our courses is its flexibility in recognizing prior learning experience as a result of your hard-earned work experience. Depend on your job role (e.g. 10 years in retail management), you can start by attempting directly from Level 6, e.g. the City & Guilds Level 6 Graduateship (GCGI) in Leadership and Management. How do I know which NQF level should I start from? People working at NQF4 generally have specialist or advanced knowledge and skills – NQF4 is aimed at technical or professional job roles with supervisory or first line management elements. NQF5 is more involved in complex decision making and problem solving – this is generally in the form of middle managerial roles. NQF6 is aimed at senior managers (e.g. with 10 years of working experience) and requires him/her to show capabilities in solving work-related problems with original ideas. NQF7 candidates deals with complex and unpredictable situations and are generally in a more strategic or directorial roles. Depending on the route you choose, the duration required will be different. If you choose the route via professional recognition, attaining NQF4 or NQF6 would be around 6 months whereas attaining NQF7 would be 4 months. Of course, if your working experience or background could not support you in obtaining an NQF7, we suggest you work on NQF6 first. On the contrary, if you have little or no working experience, then you should try to attain your qualification via submitting assignments (see our SBP courses), and the duration would be a little longer. The normal estimated time for achieveing an NQF5 and an NQF6 (both via assignments) would likely take a year or to a year and a half. Note that for those who have little or no working experience, the general route to achieve an MBA would be study the SBP Advanced Diploma (NQF5), then the SBP Graduate Diploma (NQF6) and then proceed to the MBA. Duration for various part-time degree programmes: Wesleyan MBA (24 months), Roehampton MBA (10 months), Wesleyan PhD/EdD (30 months). Please also refer to the other FAQ (see next column) on "How to study and how much does it cost?" regarding the course/module costs and arrangements. Can I mix the two paths? Of course. For instance, once you have obtained your City and Guilds Graduateship at NQF6 (via professional recognition), you can choose to proceed with your MBA instead of proceeding with City and Guilds MCGI at NQF7. Alternatively, you can obtain your City and Guilds LCGI (at level 4) first and then proceed with the SBP Level 6 Graduate Diploma in Entrepreneurial Management pegged at NQF level 6. If you already have your bachelor's degree with 5 years of management level experience, you can also go straight to the City and Guilds MCGI (at level 7) and then proceed directly with the PhD in business administration. Or, alternatively, you can also work your way up by doing an MBA first and then a PhD. What fields of qualification can I study for? We offer as well the Master of Business Administration (MBA) degrees from both the University of Roehampton (UK) as well as from the Wesleyan University Philippines. Also, we offer two doctoral degree programmes, namely, the Doctor of Philosophy (PhD) in business administration (with either the human reources track or the public development track) and the Doctor of Education (EdD) degree majoring educational management. How to study and how much does it cost? For the City and Guilds Professional Recognition Awards (PRA), you will be assigned a dedicated assessor who will stupport you to provide and gather evidence to meet the various professional standards. Your work will be assessed using our e-portfolio system that can be accessed from any computer with an internet connection. You will be required to write reflective accounts to demonstrate how you have met each of the professional standards. These accounts should be supported by testimonies that verify your accounts and you will be asked to provide a variety of evidence to further support your reflective accounts e.g. emails, minutes of meetings, customer testimony. Total cost for the NQF4 Licentiateship (LCGI) is £950. For the NQF6 Graduateship (GCGI) programme, it is £1200, and for the NQF7 Membership (MCGI) programme, it is £1500. For further information on City and Guild programmes, please chat directly with us on Facebook or email us at cityandguilds@wyith.edu. Among the three SBP diploma programmes, we currently only accept students for the NQF6 Graduate Diploma in Entreprenurial Management (GDEM). There are 11 subjects in the GDEM (including 6 assignments and 5 online exams) and the fee for each subject is £135 (the whole GDEM will therefore cost £1485). For payment schedule as well as other questions related to the SBP Advanced Diploma and Graduate Diploma in Business Administration programmes, please chat directly with us on Facebook or email us at mamsasbp@wyith.edu. Learners studying for the 36-credit Wesleyan MBA degrees are enrolled on a bi-semester basis. The MBA programme is designed to be completed in 2 years part-time (or 4 semesters). Learners register for 12 credits (4 subjects) during each of the first 3 semesters and complete their comprehensive examination in the final (4th) semester. There are TWO versions of the Wesleyan MBA programme: (a) fully online mode and (b) face-to-face intensive mode. Tuition fees for both versions are the same. The Wesleyan MBA programme offered via Wyith Institute with optional face-to-face component is available in Vietnam, Indonesia, Singapore, Malaysia, India, Sri Lanka, Bangladesh, as well as in mainland China – local discounts is also available and varies from country to country, please chat directly with us on Facebook or email us at wesleyan@wyith.edu for details on tuition and the associated fees. Similar to the Wesleyan MBA, there are TWO versions of the programme: (a) fully online mode and (b) face-to-face intensive mode, and fees for both study modes are the same. Learners studying for the Wesleyan 60-credit PhD or EdD programmes are enrolled on a bi-semester basis. The two doctoral programmes are designed to be completed in 3 years (or 6 semesters). Learners can register for a maximum of 12 credits (4 subjects) during each semester. The Wesleyan doctoral programmes offered via Wyith Institute are also offered with an optional intensive face-to-face option for learners in Vietnam, Indonesia, Singapore, Malaysia, India, Sri Lanka, Bangladesh, as well as in mainland China – local discounts are also available, hence, for details on tuition and fees, please chat directly with us on Facebook or email us at wesleyan@wyith.edu. We offer THREE types of interest-free payment plans for all learners studying in one of our degree programmes – please note that the following payment plans only apply to degree programmes from the Wesleyan University-Philippines. Learners make a down payment of USD950 toward the total tuition for the degree program in a single payment by the date of acceptance. The remaining balance will be paid at USD250 per month (until all fees are settled), beginning one month from the official enrollment date. No interest will be charged on the unpaid balance, however late fees will be assessed on all past due balances. Learners make a down payment of USD750 toward the total tuition for the degree program in a single payment by the date of acceptance. If the learner is enrolled for the bi-semester, the remaining balance will be paid in 11 (eleven) equal installments, beginning one month from the official enrollment date. If the learner is enrolled in the last odd semester, the remaining balance will be paid in 5 (five) equal instalments, beginning one month from the official enrollment date. No interest will be charged on the unpaid balance, however late fees will be assessed on all past due balances. Learners will make a payment for the full tuition amount for the degree programme in a single payment by the date of acceptance and enjoys a 5% discount off the total fees. For instance, a learner studying for the Wesleyan MBA will enjoy a 5% discount when he/she pays for the full tuition upon acceptance into the programme.